The RELAIS DEI PAPI is a Tourist hotel. Located in City Centre - Vatican area. Shopping is within walking distance and the nightlife/restaurants are within walking distance from the hotel. Staff are exceptional. Very attentive, understand all your needs, which made us feel at home. Upon checking in we were provided with a itinerary of options( at our request) with a map of close by attractions and other unknown gems. The hotel is well situated, extremely close to attractions ( the vatican) and the metro and the Italian patisserie around the corner is brilliant - always heaving. There are also a number of lovely restaurants nearby. It's in an excellent location; not too far to walk to all the main sights, yet in a quiet area. Plenty of good restaurants and cafes nearby. VERY helpful staff (Daniel and Giuseppe especially!). 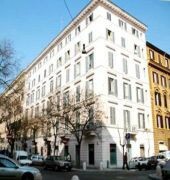 Rooms good size for Rome, very clean, wi-fi works well, Very good value for money. Visited Rome with my boyfriend in September and stayed at ths lovely hotel! Room was fairly small but comfy bed, and great jacuzzi bath/shower in room. Didn't eat at the hotel so I can't comment on that but staff were so polite and knowledgeable about where to visit during our short stay. We would love to come back, highly recommend. Stayed here for 3 nights and thought the room and hotel was lovely. The room had everything you required, the bed was comfortable and the shower was great. Good to have a fridge in the room too. The location of the place is great, itâ€™s not too far from anywhere, everything was either walkable or a very short distance on the train. Daniel was also great on check in, would highly recommend staying here when visiting Rome. We have just got back from our first time in Rome and it wouldn't have been the same without this hotel. The staff were friendly and helpful, prodividing all the information you could possibly want about the area and where best to go. Their restaurant recommendation was also amazing and we were gutted we only decided to go the last night! The rooms were clean and tidy and more than enough space for the two of us. Daily room cleanings and fresh towels if needed. The breakfast was good although there could have been a few more vegetarian options but otherwise a fantastic place for a home base while visiting the sites. 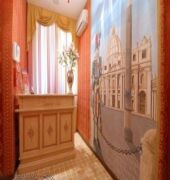 Within easy walking distance of the Vatican and a metro stop.